Blackpool Heritage and The Grand – When Thomas Sergenson arrived in Blackpool from Preston in 1876 to take up a position at the public baths on Hygiene Terrace he little thought that by 1909 he would have become one of the North West’s leading theatre managers and making Blackpool history. The baths were soon demolished to make way for the Prince of Wales theatre, which later became the Alhambra, then The Palace and is now the site of Poundland on the Promenade. Sergenson eventually leased the theatre, which launched his career as the People’s Showman. His theatre specialised in favourite melodramas, popular music and low comedy. Throughout the early 1880’s Thomas Sergenson had been quietly saving the profits from his by now three rented theatres to fulfil his aim of building a full size modern theatre in Blackpool. In 1887 he bought a site on the corner of Church Street and St Ann Street (later Corporation Street) a first class position between the Winter Gardens and the Promenade on one of the best shopping streets in Blackpool. The Winter Gardens, sensing competition, rebuilt their theatre and Sergenson decided to build five shops on the site and delay the theatre until he could see how the rival Opera House prospered. In place of a theatre Sergenson erected a large wooden building with a corrugated iron roof and for five years he presented a circus during the summer months. When he heard that the proposed Blackpool Tower Buildings were to incorporate a circus he decided to proceed with his original ideas and in 1893 engaged Frank Matcham, the leading theatre architect of the day, to design the Grand Theatre. Blackpool Heritage – The Grand Theatre was opened in 1894. Hailed as Matcham’s Masterpiece it had been built in nine months at a cost of £20,000. The theatre opened with a production of Hamlet with Wilson Barrett in the starring role. The programme was printed on pure silk and perfumed with Tower Bouquet by a chemist in Church Street. The opening of the Grand Theatre moved Sergenson into the Number One circuit of famous actors, spectacular musicals and high-class opera. Sergenson attracted Sarah Bernhardt, Lillie Langtree, Beerbohm Tree, Seymour Hicks and Mrs Patrick Campbell before he sold out to the Tower Company for £47,500 in 1909. The Tower Company owned The Grand until 1968. In the Twenties Blackpool Heritage and The Grand became famous for staging operetta and big American musicals like Rose Marie, The Desert Song and No No Nannette. Great stars, including Evelyn Laye, Carl Brisson, Tallulah Bankhead, Matheson Lang, Cicely Courtneidge and Jack Hulbert, appeared at The Grand in this decade and many were to continue to tour throughout the Thirties, Forties and Fifties. After a temporary decline owing to the success of ‘talking pictures’, the Thirties saw The Grand presenting Gracie Fields for six Summer Seasons. The Grand soon returned to its role as a playhouse presenting stars like Donald Wolfit, Flora Robson, Sybil Thorndike, Peggy Ashcroft, Edith Evans, Rex Harrison and John Gielgud. Blackpool Heritage – During World War Two, Blackpool was considered a safe haven from German bombing and the Forties was a glittering decade. It was famous for visits from James Mason, Alec Guinness, Anna Neagle, Michael Wilding and Noel Coward. Holidaymakers in the Fifties and Sixties enjoyed the highly successful Northern farcical comedies starring amongst others Danny Ross, Thora Hird, Arthur Askey, Sid James and Hilda Baker. However, it has to be said that audience loyalty to live theatre was evaporating and with the coming of television theatres began to struggle. The Sixties saw theatres, including many of the 150 Matcham theatres, closing all over the country and business slumped at the Grand. In 1968 the tower Company was bought by E.M.I. and in 1972 The Grand was closed. Luckily, in 1971 The Grand had become a Grade 2* listed building but the following year permission was sought to demolish it to make way for redevelopment as a Littlewoods Store. In 1973 a Public Enquiry into the future of the Grand was held and after winning the appeal the then Friends of The Grand achieved this compromise with E.M.I. : – in return for not opposing their application for a Bingo licence, E.M.I. would refurbish the auditorium and give the Friends a twenty-year option to purchase the Grand for £350,000. The E.M.I. Company spent £200,000 on a refurbishment of the theatre and in 1977, as part of the deal, two shows Fallen Angels and Godspell were presented by the newly created Grand Theatre Trust Company (a registered charity) formed from the original members of the Friends of The Grand. The theatre opened for Bingo in August 1977. Fundraising began in earnest and in the autumn of 1979 Lord Delfont of E.M.I. reduced the purchase price to £250,000 on condition that the deal was signed by June 30th 1980. The Arts Council and Blackpool Borough Council finally supported the appeal with £50,000 each and the Grand Theatre Trust Company paid a deposit of £25,000 on 30th of June followed by the balance on October 1st 1980. In November the Friends of The Grand was reconstituted as an independent and autonomous support group with its own structure and committee dedicated to assisting the theatre with volunteers and fundraising. Friends of The Grand volunteers cleaned and painted the backstage and dressing room areas and a new box office, stage lighting and sound were installed during the winter of 1980/1981. On March 23rd 1981 the theatre was re-opened by the Grand Theatre Trust Company with a production of The Merchant of Venice starring Timothy West and Prunella Scales and on May 29th the theatre had the honour of a Royal Variety Performance before HRH The Prince of Wales. Other Royal visits include HRH The Prince Edward in 1989 and HM The Queen Elizabeth II on the occasion of the theatre’s Centenary in 1994. In 1993 the Arts & Entertainments Company Ltd., a registered charity, was formed to operate the theatre whilst the responsibility of the Trust Company Ltd., as owners of the building, is for its improvement, major repairs and conservation. 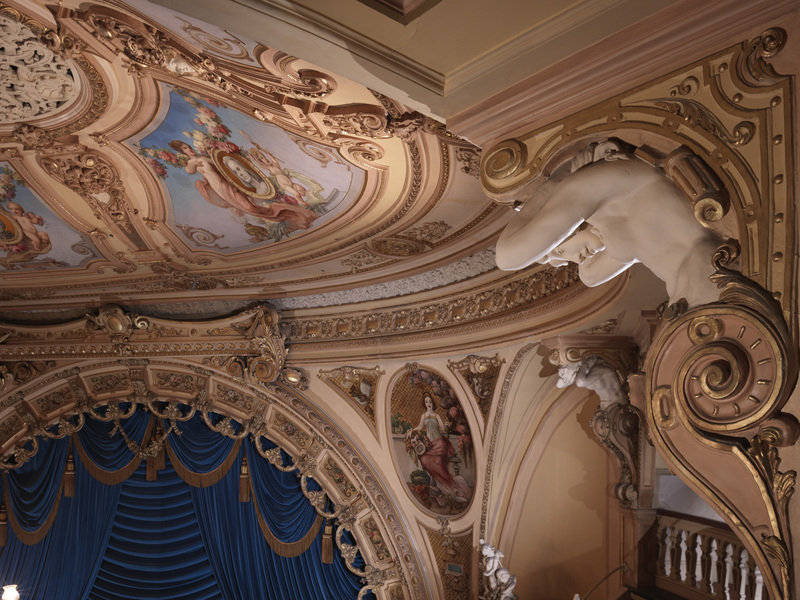 Blackpool Heritage – As custodians of this beautiful Victorian theatre, the Trust Company has sought to restore it to its original condition whilst recognising the standards of patron comfort expected in the Twenty First Century. In 1988 work was completed on kiosks on the West elevation to provide a much-needed source of income. With the relaxing of the licensing law, Matcham’s Bar was converted to exploit the potential as a town centre pub with access from the street as well as from inside the theatre. Throughout the early 1990’s a five-year programme of improvements saw the stonework and the dome cleaned and repaired, many windows were also replaced or restored. The theatre was re-carpeted and toilets updated. The annexe provided a self-contained Studio Theatre including toilets and additional office space. The Centenary Appeal in 1994 focussed on re-slating the roof and the replacement of the front canopy with a faithful reproduction in cast iron and stained glass of the Victorian original. A new heating and comfort cooling system was installed. Phase One of the Glorious Grand Appeal was completed in 2002 and featured the restoration of the ceiling, plasterwork and the many paintings and gilt work in the auditorium, the replacement of the House Curtain and other auditorium drapes including the restoration of all the silk tassels. 2004/05 saw the theatre engaged in The Glorious Grand Appeal Phase Two, The Sam Lee Appeal. This appeal was concerned with improving the amenities of the theatre for all patrons with new and wider seats with greater legroom, additional toilets, and the provision of better facilities for people with disabilities. As a part of the restoration there had been a change in the colour scheme back to Frank Matcham’s original. By 2008, Phase Two of the Glorious Grand Appeal was completed and the auditorium now had the new colour scheme throughout with new carpeting and seats designed to fit the period. In 2009 the opportunity arose to purchase a three-storey vacant property next to the theatre at 43-45 Church Street. Part of this building was already leased and contained the Studio theatre and the theatre’s Reception. Acquiring it allowed the ground floor to become a self-contained retail unit which was rented out to provide income for the Trust. In 2013 the theatre leased the upper floors of 37-41 Church Street – the Theatre Shops that Sergenson had built before the theatre. This allowed a major development to improve both the facilities and the access to all levels of the venue. Completed in 2015, this project improved accessibility within the building, refurbished a number of dressing rooms, created two new meeting and rehearsal spaces and improved office accommodation. Funding was provided by Arts Council England, Friends of The Grand, Blackpool Council and Garfield Weston Trust with a wheelchair platform lift to the stalls and a new box office counter funded by the SITA Trust. In 2016, the owner of the Theatre Shops’ building approached the Trust and a purchase was negotiated, funded by the Friends of The Grand who then gifted the building to the Trust. The theatre continues to provide a wide and varied programme of products, both in the main house and in the Studio, appealing to all age groups. We continue to rely heavily on grants, donations and sponsorship so that we can bring to Blackpool the finest companies presenting high quality drama, opera and ballet. 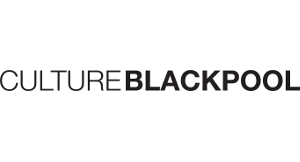 Blackpool Heritage – The Grand Theatre is one of the most beautiful theatre buildings in England; a graceful, stylish, grand treasure which deserves the loyalty and support of us all. The greatest tribute we can pay to those who had the vision to build it and to those who had the determination to save it, is to secure the theatres structural and artistic future.